Tiger Club EAB Strapping - Feel Right, Feel Ready! Tiger Club EAB is an essential for any professional kit bag. 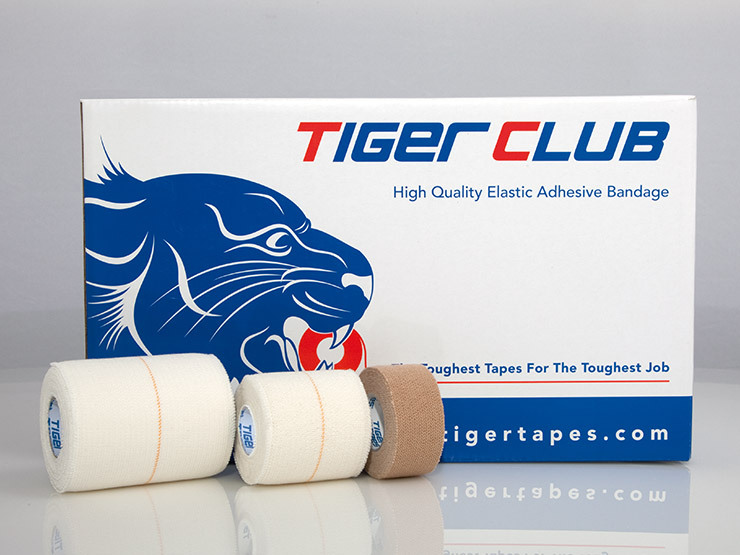 Whether you’re looking for support of the ankle, wrist, finger or thumb, or to protect the ears and increase thigh grip during rugby, Tiger Club EAB will ensure athletes feel ready, protected, strong, and able to do what they need to perform. Tiger Club is a supreme elastic adhesive bandage (EAB) designed to offer a secure, long-lasting, professional and conforming fit. Its heavyweight, semi-rigid fabric is strong enough to last during tough conditions whilst its soft-cotton makeup provides extra comfort. With its durable adhesive backing, you can feel right knowing that once applied, it’ll stay on the pitch as long as you do, allowing you to focus fully on your performance. Its tensile strength, combined with this sticky adhesion makes it ideal for firm, sustained compression. 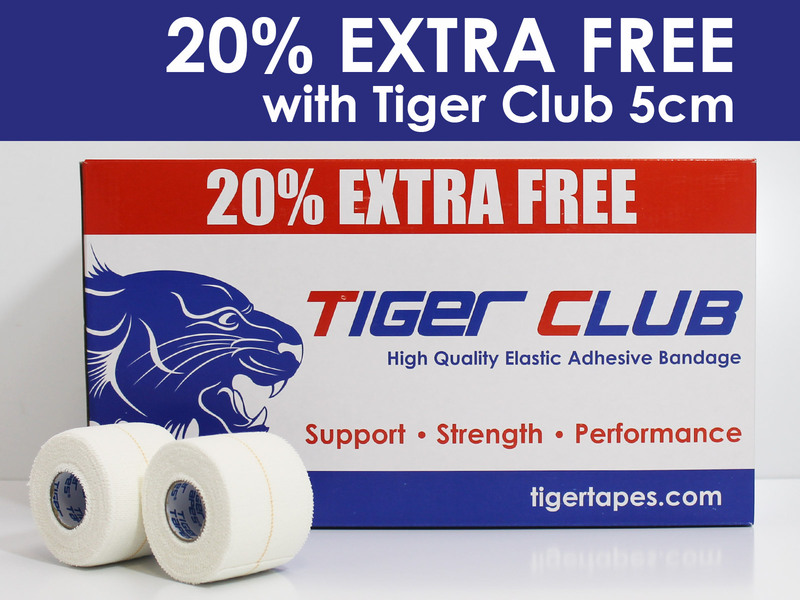 Our White Tiger Club EAB rolls come with a thin guideline down the centre of each roll. This is to help facilitate correct over-lapping and even compression. It also helps reduce waste! Plus, our 5cm and 7.5cm rolls come individually wrapped for greater hygiene. Tiger Club EAB is a firm favourite across many sports, in particular rugby. It can be used to fix lifting blocks to the lineout’s thighs and protect the head and ears during the scrum. 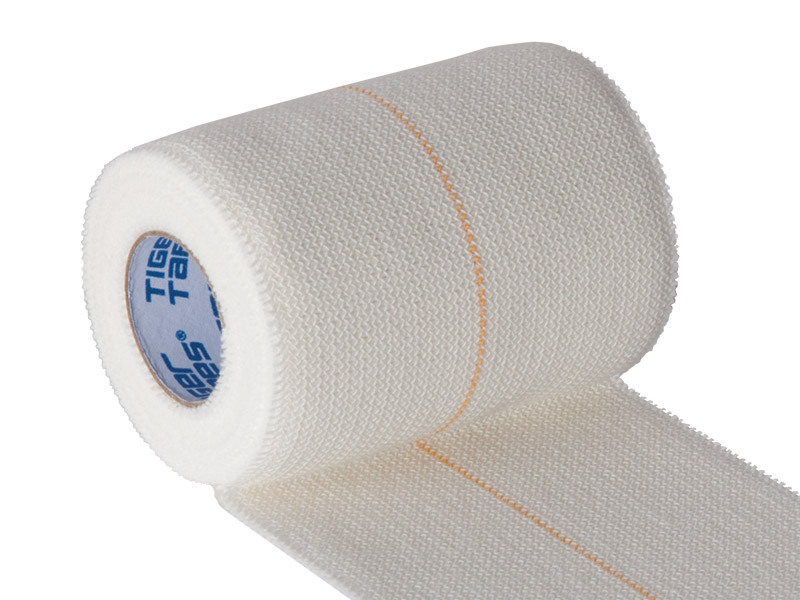 It’s also many professional's go-to tape for firm and sustained compression, support of non-load bearing joints, as well as soft tissue strapping and immobilisation. It can even be used for holding up socks! Supreme EAB for a secure, professional and conforming fit. Strong enough to last in tough environments. Soft cotton fabric with a feathered edge and easy to unwind. Guide line on 5 and 7.5cm to facilitate correct over-lapping for even compression. 5 and 7.5cm rolls individually wrapped providing greater hygiene. easy to apply and feels nice! prefer this to other EAB's that can sometimes fray at the edges. plastic wrapping keeps them clean in changing room, and the guys are less likely to help themselves to my physio kit bag! 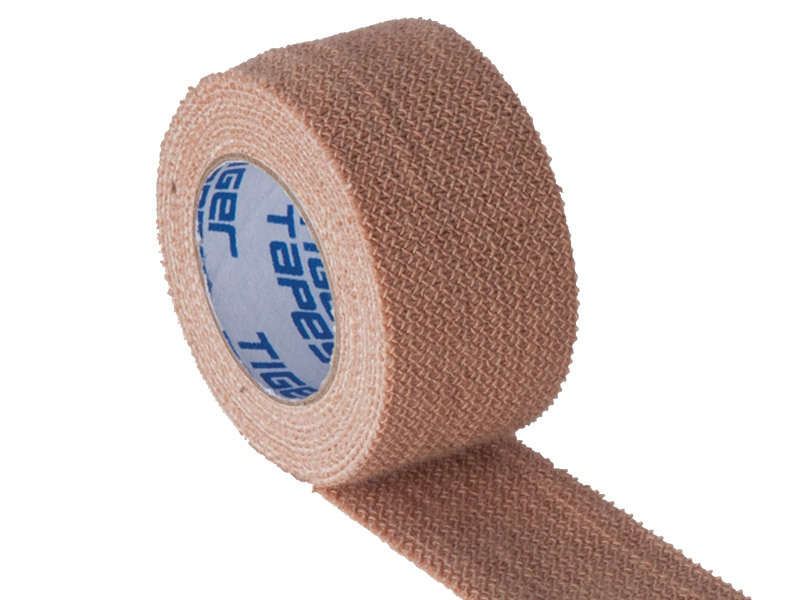 As a non physio therapist I find this tape very easy to use as it is repositionable, so if it goes on wrong it doesn't mean wasting it. Supports the problem areas well with minimal/zero 'pinching' (depending on how well I apply it)!.